Sandy Starr is Communications Manager at the Progress Educational Trust (PET), a charity which improves choices for people affected by infertility and genetic conditions. PET advances public understanding of science, law and ethics in the fields of human genetics, human reproduction, embryology and stem cell research. Sandy is Webmaster of PET’s flagship publication BioNews, which provides accurate, balanced and timely news and comment on the latest developments in these fields. Sandy is also an author and public speaker who has addressed MPs in Parliament on the subject of human embryo research, written about genome editing in the British Medical Bulletin and in Microbiology Today, has been interviewed about mitochondrial donation on the BBC World Service programme Newshour and in the book Legalising Mitochondrial Donation: Enacting Ethical Futures in UK Biomedical Politics (Palgrave Pivot, 2018), and has appeared as a guest on the Sunrise Paper Review on Sky News. Over the past 10 years Sandy has worked on more than 50 public events for PET, in venues ranging from universities and Royal Colleges to law firms and the Houses of Parliament. These events regularly attract mixed lay and specialist audiences of up to 300 people, receive national and international press coverage, and affect the development of policy. Sandy was previously a member of the Ethics Advisory Board of the world’s largest autism research project, European Autism Interventions: A Multicentre Study for Developing New Medications. He appeared in and narrated project-related videos, and contributed to related journal articles. He has also served on the Editorial Board of the charity Autistica. Sandy judges debates at the Debating Matters sixth-form debating competition. 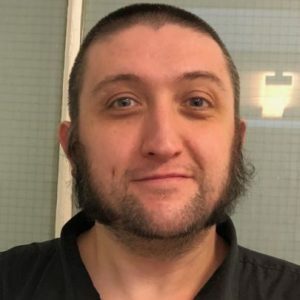 He was a member of the founding editorial team of the pioneering current affairs publication spiked, and he spent several years as a film critic for The Sun newspaper’s TV Mag supplement. If data runs the world, who is in control? Can genomics revolutionise the NHS? Transhumanism: who wants to live forever?